We work collaboratively with our clients to transform strategy into practical actions that drive results. Our deep expertise within investment solutions, pensions and insurances and talent strategy helps the people and organizations we serve take steps today to secure a better tomorrow. For more than 70 years, we’ve turned our insights into actions, enabling people around the globe to live, work, and retire well. 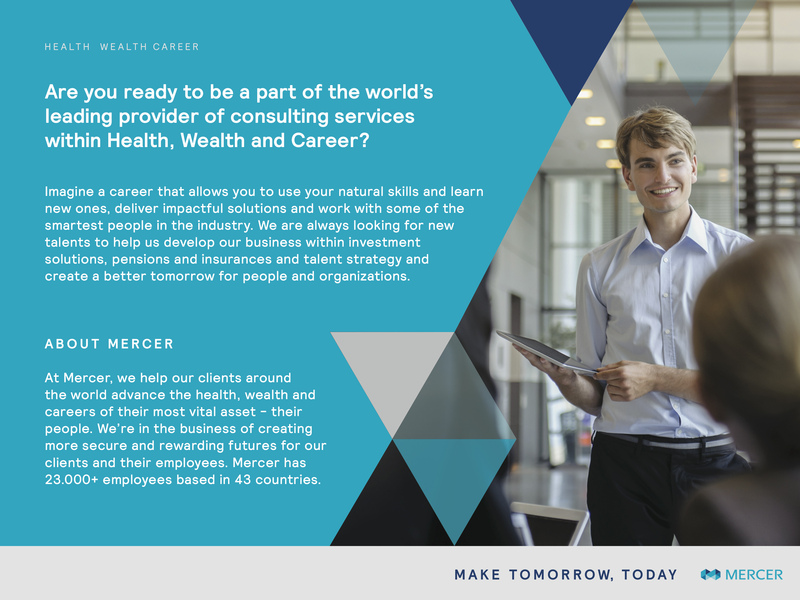 Mercer is a subsidiary of Marsh & McLennan Companies together with Oliver Wyman, Marsh and Guy Carpenter.